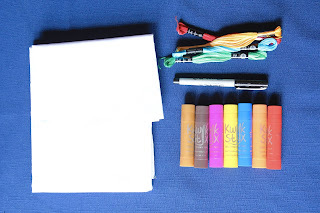 For the past three Summers the kids and I have throughly enjoyed ourselves by participating in an event called 'Sew A Softie' organized by Trixi over @coloredbuttons we signed up again this year but life delayed me getting this simple sewing tutorial out when I was intending to in July. 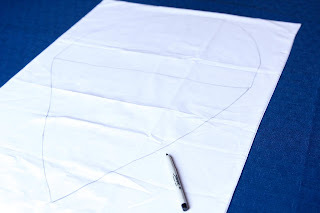 But better late than never, I grabbed my kiddos and we got sewing over this past weekend at Granny's house and I finally made myself sit down to share our easy 'how to' with you all. 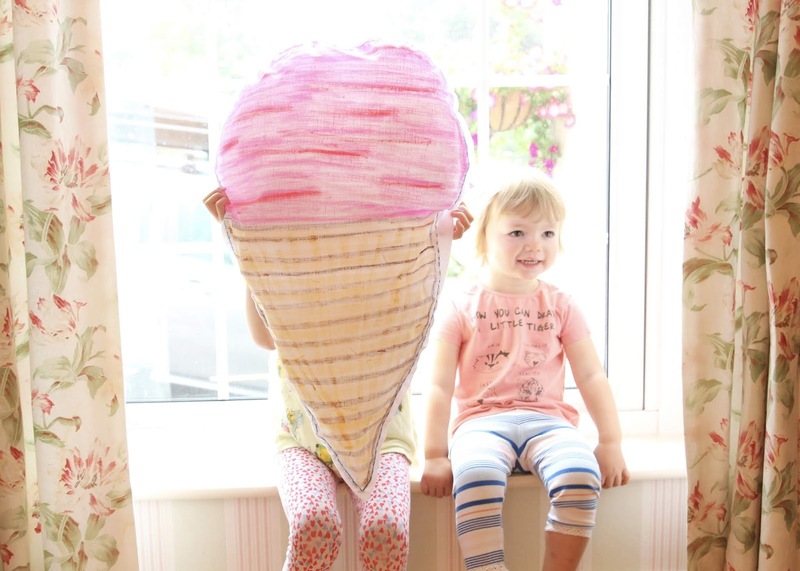 So don't delay grab yourself a plain old pillow case today and get crafty with a needle to create a giant puffy ice cream alongside us. And be sure to check out all the other amazing bloggers that joined in Sew a Softie 2018 alongside us. 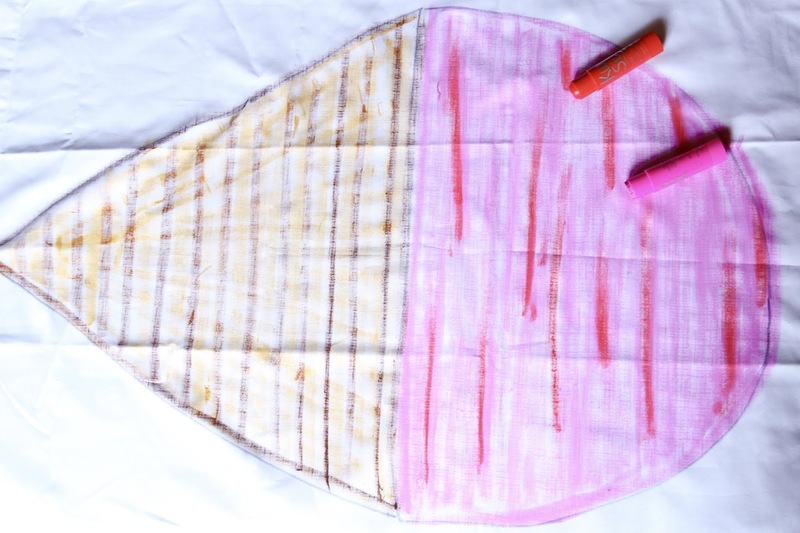 Sketch the giant ice cream onto one side of the pillow case. 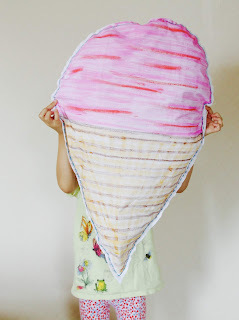 Let your children color/paint the ice cream shape. 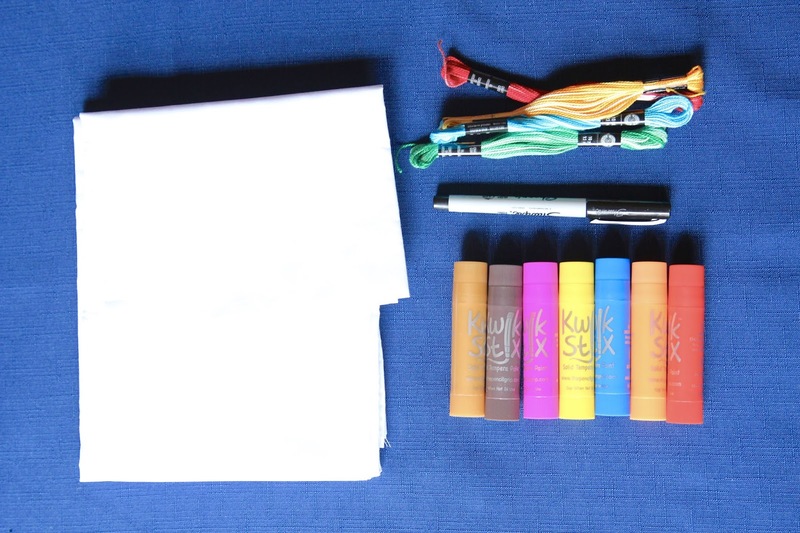 We are currently traveling so we chose to use our favorite mess free Kwik Stix to use while at Granny's house. 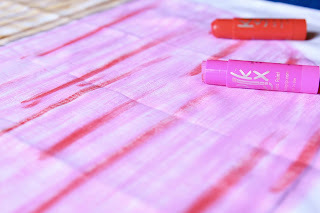 They work really well on the fabric and dry really quickly and are washable but you might want to protect your table. Once you are all done coloring your ice cream its time to get sewing. 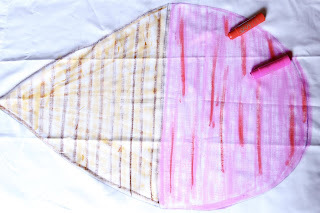 We found it much easier to sew around our ice cream before we cut the shape out as the seems of the pillow case helped to keep the two pieces together without them moving around too much. Its pictured slightly differently here because I forgot to snag a picture of the kids sewing before the shapes were cut, instead here is a picture with the gap we left in the side ready for stuffing. And thats it, one super soft and super simple sew a softie to get kids sewing this summer. 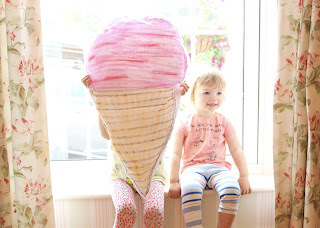 Who wouldn't want a giant ice cream at Granny's house? Very sweet!! Loved how you used a pillow case and stuffed with plastic bags. 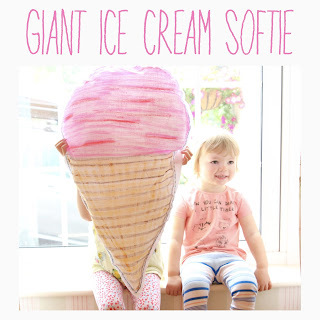 Thanks for joining into Sew a Softie.